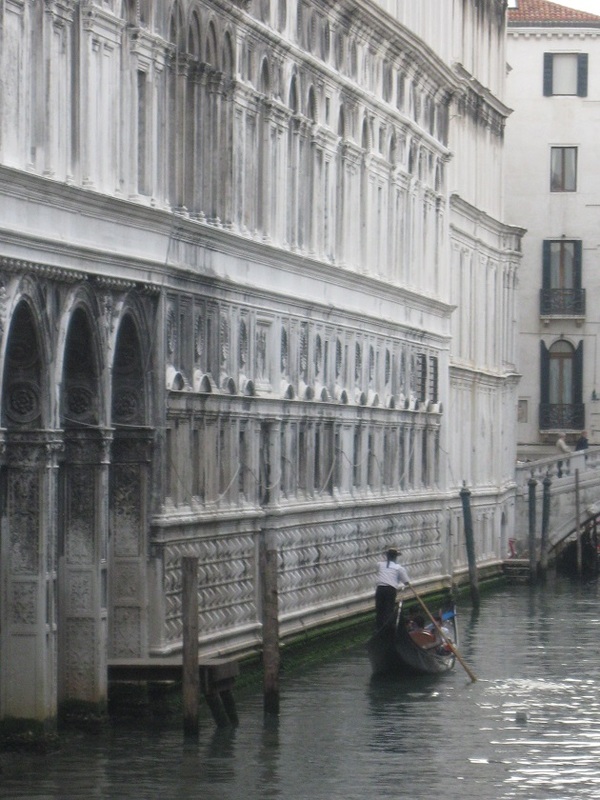 This entry was posted in Italy, Travel, Venice and tagged Adventure, gondola, postaday. Bookmark the permalink. I love the way you framed this photo with the tall, interesting architecture shown so beautifully in comparison with the size of the people. I hear centuries-old adventures playing out in this photo. Beautiful adventure post, Meg! Love this image. Thanks Amy – I think that Venice has some really interesting adventures! Love this! It’s not often Venice is portrayed in this way. Yes Europe and the beautiful buildings and history are a wonderful adventure. They really are, and I enjoy seeing these fascinating buildings and wonder about all the things that have happened over the years! That must have been so interesting – it sounds like a good class! It was great… I ended up liking the intro so much I signed on for part 1 and part 2 (2 more classes). It was a nice break from all the sociology and psychology stuff. This is just lovely, I would love to visit. I watched a show the other night about how they are restructuring the base of Venice so it stops sinking ! Your photo is beautiful ! You will really like Venice when you visit there! I can’t wait! Thanks for sharing! Thank you Diana – Venice is one of my favorite places too! This is picture is stunning! It is scenes like this that make me feel like I have to include Venice on our Italian itinerary for next year. Thanks and you should definitely include Venice – it’s really a gorgeous place! Thank you – Venice is so full of beauty! Venice is on my list – hoping to get there next year! You picked a marvelous city and I hope that you have a great visit!